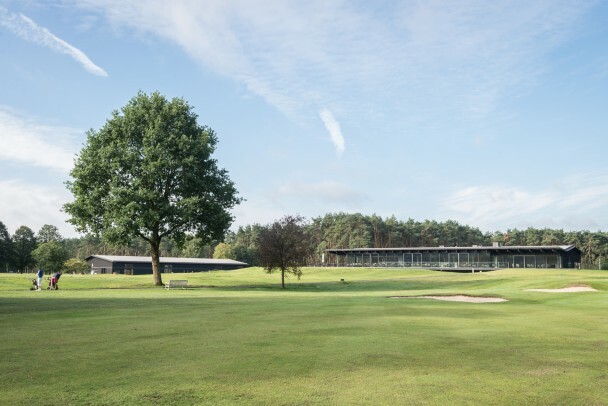 The main clubhouse for the Rinkven Golf and Country Club will soon be delivered. In parallel with the interior finishing, the surrounding terrain is being moulded around the building. At last, the clubhouse can be perceived as it is meant to be: a juxtaposition of planes, hovering above the undulating landscape of both the northern and the southern 18th hole.